World War I concludes in 1918. With Russia taken care of, the money changers now had control of every major national economy. Like a steam roller moving and a wolf gathering its pack, there was only one thing left to do and that was to go global. The first attempt was the proposal to set up the League of Nations at the Paris Peace Conference. The Paris Peace Conference was the meeting of the Allied victors following the end of World War I to set the peace terms for Germany and other defeated nations, and to deal with the empires of the defeated powers following the Armistice of 1918. It took place in Paris in 1919 and involved diplomats from more than 30 countries. But old habits die hard, and even what they called ‘the war to end all wars’ was not enough to convince nations to dissolve their boundaries, the League of Nations died. “These international bankers and Rockefeller-Standard Oil interests control the majority of the newspapers and magazines in this country. They use the columns of these papers to club into submission or drive out of office public officials who refuse to do the bidding of the powerful corrupt cliques which compose the invisible government…. To depart from mere generalisations, let me say that at the head of this octopus are the Rockefeller-Standard Oil interest and a small group of powerful banking houses generally referred to as the international bankers. The little coterie of powerful international bankers virtually run the United States government for their own selfish purposes. 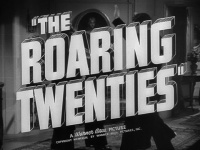 These warnings fell on deaf ears, drowned out by the music and excitement of the roaring 20’s. People don’t tend to complain much in times of prosperity. So the money changers used this boom time, they had created, to defuse any complaints about their growing control. But further controls were needed, so along came the Great Depression.